There are many different ways to make and use a bow, so we’ve decided to put together an ultimate collection of the best bow tutorials. If crafts are your thing, and you want to try out something new, you’ll love these. 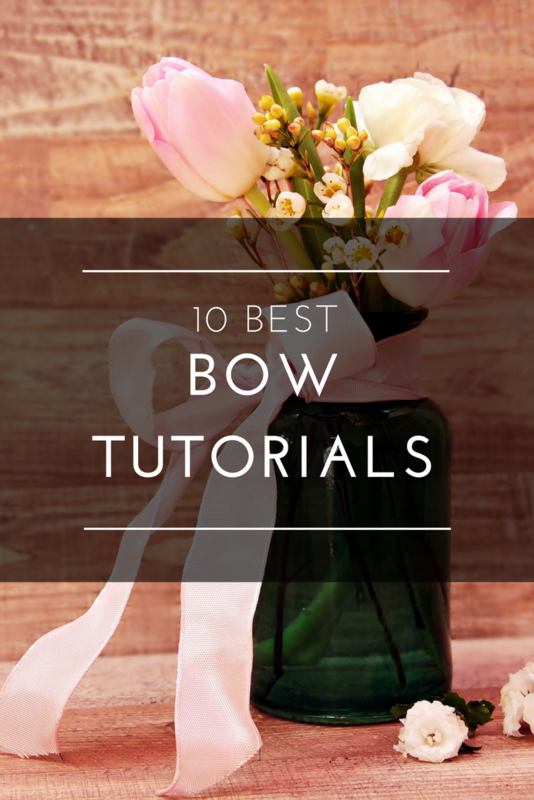 The bows from these tutorials can be used for various different purposes, although decor and gift wrapping are the first ideas we have when we think about bows. This one is called a Christmas bow because it’s quite big and it’s red and green, colors that most people associate with Christmas, but in fact, it can be used for many different occasions. It’s made from wired ribbon, but you can also use burlap or grosgrain ribbon for this type of bow. Since it needs to be quite large, you should use wider ribbon to get more voluminous loops. Celebrating special occasions is a perfect opportunity to go for this bow, regardless if you want to wrap it around the gift, attach it to your dress or use as a decoration for the venue. It’s quick and easy to make and all you need is a ribbon in a color of your choice. You’ll also need scissors to cut the ribbon into a desirable length. The instructions can be applied to narrow ribbons as well, which is especially a good detail for small gift boxes, like those for packing jewelry. Here’s another amazing tutorial to make a ribbon bow. The main feature of this bow is a colorful ribbon. This specific pattern gives it a nice touch, which makes this bow perfect for holiday decoration and gift wrapping. Match it with a plain wrapping paper and you’ll have a quite professional-looking gift. This bow is particularly useful for gift wrapping, because it’s small, but it can also be a nice decoration. You’ll need three pieces of ribbon. Two pieces should be satin ribbon. One of those should be wider, 1- 2 inches, and then one narrow piece, approximately 1/4 of an inch. You’ll also need chiffon ribbon as an extra layer. Double-sided tape or fabric glue could be used for attaching the ribbon pieces. Start with the chiffon ribbon. This is the largest bow and it’s the one closest to the gift box. Then make a satin ribbon bow to go on top. Finally, take the narrowest ribbon piece to make the small bow to go on top. It’ll look quite elegant and stylish on the box with these three layers. If you prefer those large, chunky bows, you’ll love this one. The recommended ribbon width is around 4 inches, but you can use the same tutorial for thinner ribbons as well. In that case, the bow would turn out a bit smaller. This type of bow is perfect for festive home decoration. Burlap is such a rustic material, perfect for outdoor decor, so this could be a great addition to the holiday wreaths for Halloween or Christmas. You’ll need 1 – 2 inches wide burlap, and a piece of wire to secure the bow. You should go on to create loops starting from the largest one. While you’re making the bow, simply lay the loops on top of each other, and once you’re all done and once you secure the bow in the middle, you can pull the loops up and down to make them all visible. The bow is a perfect decoration for the wreath just the way it is, but if you want to make it even more festive, try applying some glitter or paint on the burlap. This bow is made from four separate pieces of burlap. There are two longest pieces, one for the bow tail and one of the large part of the bow. Then there’s a smaller part of the bow used to create two loops to go on top of the longer part. And there is one short piece for the middle to tie the bow and create two loops on both sides. You’ll also need scissors for cutting the ribbon and glue to hold everything together. Tying a perfect bow is a true art. Combining this skill with high-end ribbons will allow you to make perfect bows, the ones that will be a memorable part of your gifts. This tutorial shows you how to make a regular two-loops bow. There are no extra loops or decorative bows. Although it looks quite simple, the material can get wiggly, and you need to pay attention that both loops look the same. You also want the loops be straight, which is what will make the bow look perfect. 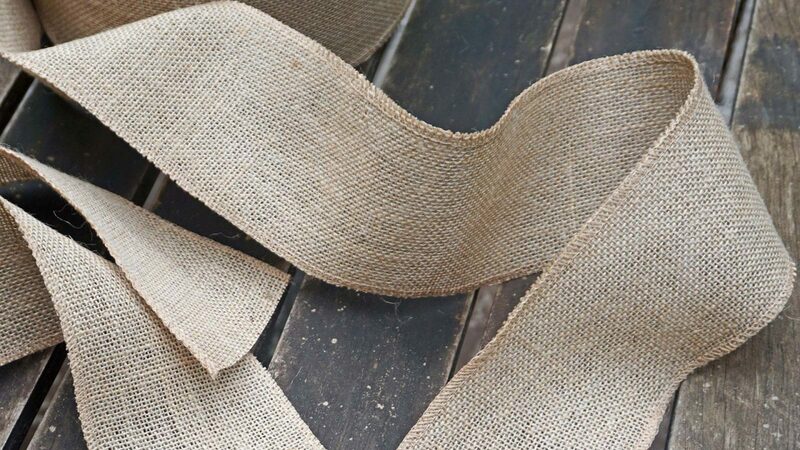 You’ve probably accustomed to see burlap ribbon and it’s mostly used to get plain, natural looking decorations. Not this time. To make it a bit more colorful, you could add another type of ribbon, one of a more vibrant color. What you need to pay attention to is to choose the ribbon which is slightly narrower compared to the burlap. This will make burlap still be visible, but the two will make a nice contrast. Follow the instructions to create six loops in total, three on each side. You’ll also leave a part of the bow tail on both sides. If you want to make hair accessories, this bow would be a good choice. It looks more elegant and complex than a regular bow, but still it’s easy to make it. You’ll need three pieces of ribbon, two of the same length, and one shorter. You’ll then create a number eight out of each ribbon, secure them with a needle, and layer them over each other. Attach them with a thread in the middle and pull the thread to narrow the middle part of the bow. To avoid this thread being visible, wrap a small piece of ribbon to create a knot. I’ve just been commenting on the forum how I use ribbon bow, and then I find this article. Perfect timing! 🙂 Number 2 is my absolute favorite. I love this double burlap bow, it doesn’t look too complicated to make it and I’m sure it will look great on an Easter basket I’m making now. I’m just going to paint a couple of small flowers on the burlap to make it a bit more festive for the holiday. These tutorials are amazing. Great idea to have them all in one post.